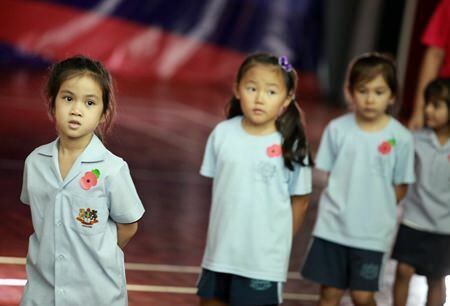 Students from Garden International School (GIS) paid respects to victims of war during a moving Remembrance Day service. At GIS there was a special whole school assembly where a minute’s silence was observed and the Last Post was played on November 11. At 11.11am, students and staff stood for a minute’s silence to remember the fallen. Students also read out several poems, including one by a Vietnamese poet to highlight the fact that Remembrance Day thinks about the victims of conflict from all around the globe. 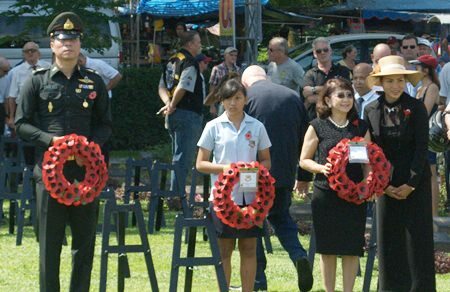 A group of students from near Pattaya travelled to Kanchanaburi to visit a War Cemetery and took part in a ceremony to lay wreaths. A GIS student carries a wreath at a service in Kanchanaburi. 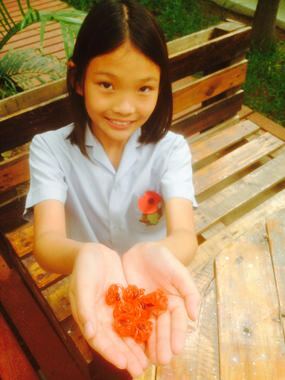 This clever Year 7 student made her own mini poppies to give to teachers. Students from GIS wore poppies to remember the victims of war. 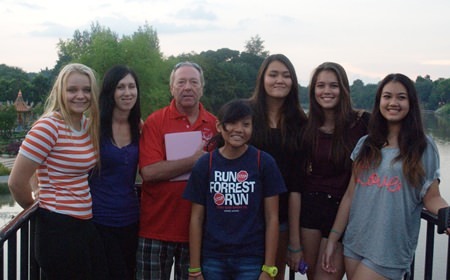 Several students from GIS went to Kanchanaburi for a special memorial service at the War Cemetery. 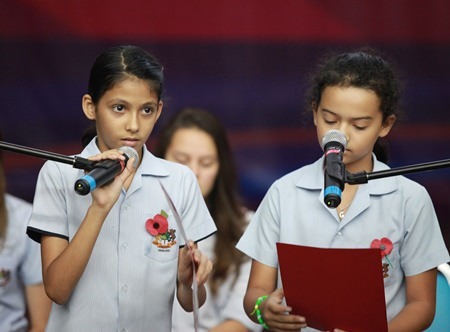 GIS students read out anti-war poetry at a whole school assembly.